Looks like a decent sized update? If anyone is planning on getting a 10s or 10s Max this week, don't update to 12.1 beta if your plan is to restore it on the new phone. The images for 12.1 on 10s and Max aren't on the dev portal. Red_Phx82, Just_Me_D and ladyc0524 like this. Well I’m sure a lot of people are updating now.. lol so might be too late. Installed. In addition, I just saw a Google Maps update that mentions CarPlay ability so I’m going to test it out soon. 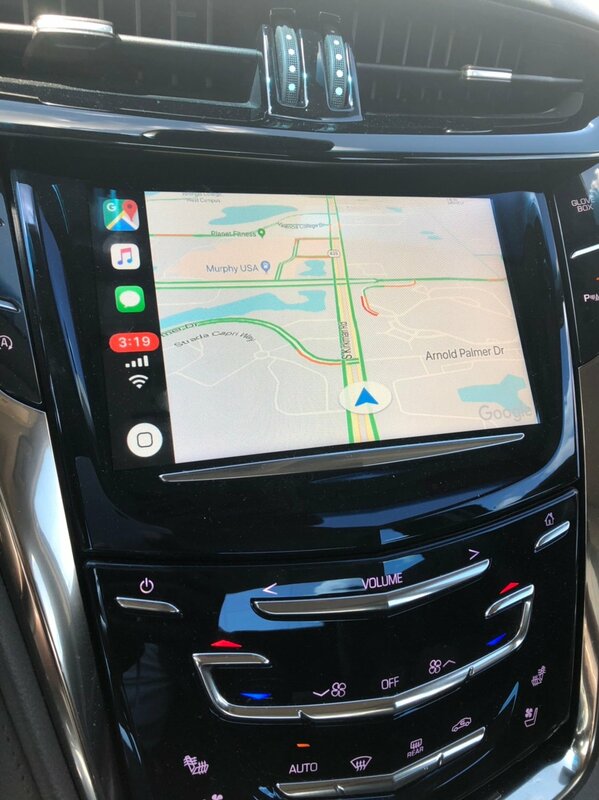 I can confirm that Google Maps work with CarPlay now. I have been waiting for this! Upgrading now !! 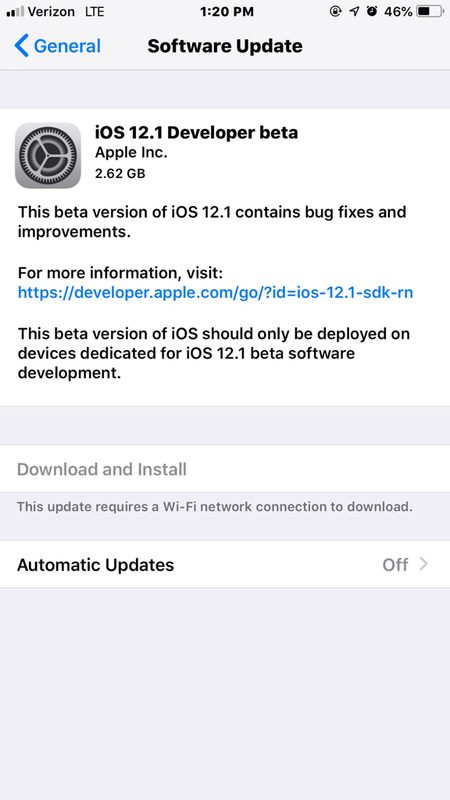 I don't think you have to be running iOS 12.1 for it to work. I just happen to see an update for the Google Maps app after I had updated my iPhone X to iOS 12.1 dev beta 1. Let me know when you are ready to upgrade that Cadillac ! Ledsteplin and Just_Me_D like this. A couple of people have already tried to get me to trade up to the CT6, but my CTS luxury is still going strong, but it’s only 2 years old. I’m tempted, but my next car will be a new Mercedes. Perhaps the E300 series, but that CT6 is straight up gorgeous. Installed earlier, no issues as of yet. I’ll be skipping this beta until I’ve finished setting up my XS Max. Made a silly mistake last year by running beta and trying to restore from it. Last year images for the X showed up in dev portal on launch day. To be safe like me, turn off back ups if you don’t mind losing data for a few days. If images show in up dev center as expected on Friday, then I’ll back up before I swap devices. I ran across an issue, my phone won’t charge past 86%. Even after rebooting the device? Yep, 86% acts like 100% though. I think I’ll let my phone die completely tomorrow. Loaded the beta on my Xs. A couple of the issues I had with iOS 12 in general including 12.1 don’t happen on the Xs. Happy camper. I don’t know why but I was surprised to see the .1 beta so soon.